Alternative Energy | LaFever Excavating, Inc. The renewable energy arena will receive much attention and provide challenging opportunities for excavating contractors now and in the near future. It is driven by concerns over climate change, rising fuel prices, and an insatiable demand for electricity. Wind turbines and solar panel foundation systems and geothermal systems are ways for the innovative new home builder to travel. An example of a new house foundation that was excavated in 2010 by LaFever Excavating, Inc. using geothermal energy can be seen in the video below. 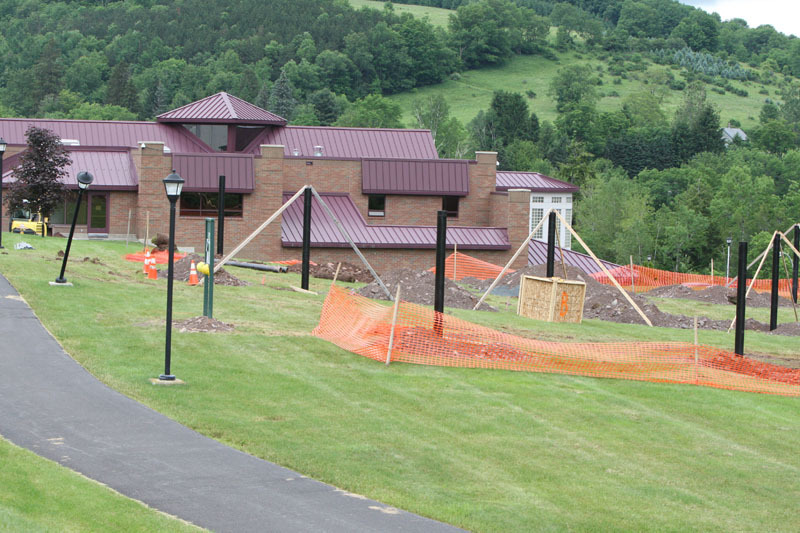 This is a project that LaFever Excavating, Inc. completed with Aspen Construction Service of Vermont. 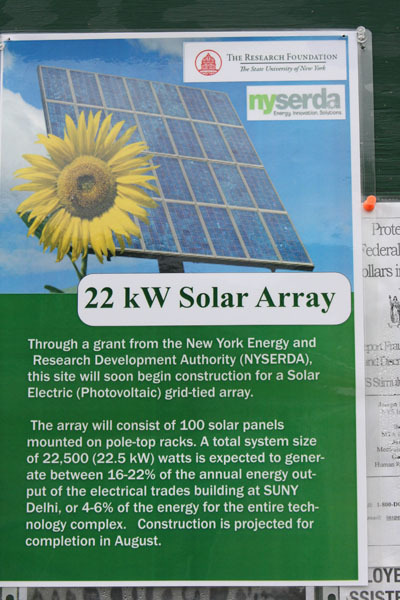 James Tucker of Catskill Solar and LaFever Excavating, Inc. are working together to bring a Solar Electric (Photovoltaic) grid-tied array to the SUNY Delhi Campus. 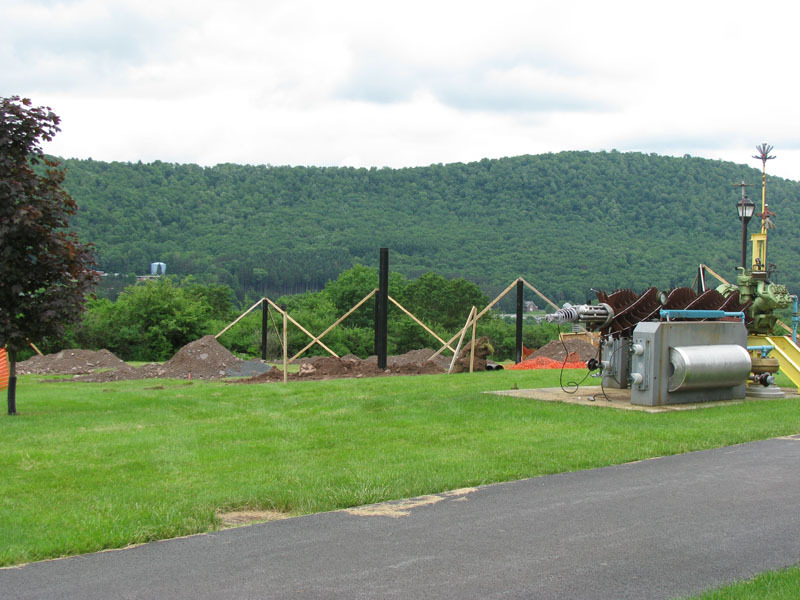 See the photos below of the excavating that has begun in June of 2011.